Our Giant inflatable dartboard, about 10ft high, is perfect for Nerf Target practice. Stand back and fire dart tag darts at the velcro target area. Aim for triple top or a bull in six shots to get a prize! Its perfect at public events, as an ice breaker at parties or as a practice exercise at Nerf War Birthday Parties! Adults and older children enjoy playing a whole game of Nerf darts and of course there are prizes to be won! 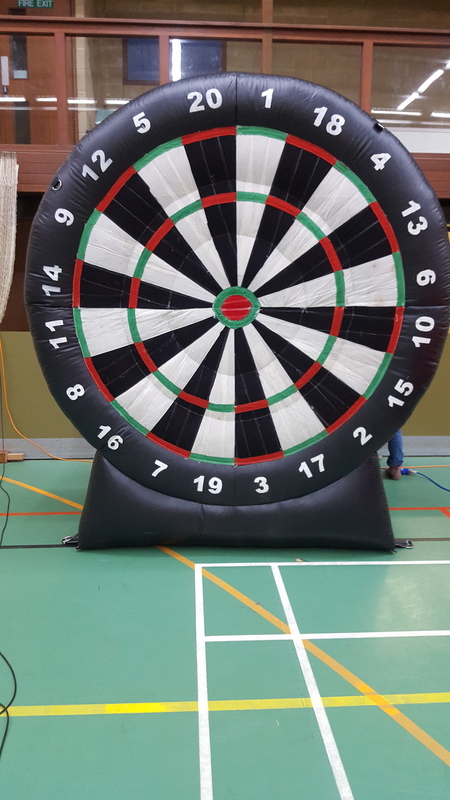 Giant Dartboard inflates in seconds and can be used inside or out.